Earlier this fall, Connecticut-based, multidisciplinary design practice Pirie Associates completed a biophilic store that evokes the image of a romantic, aging barn bursting with lush greenery. 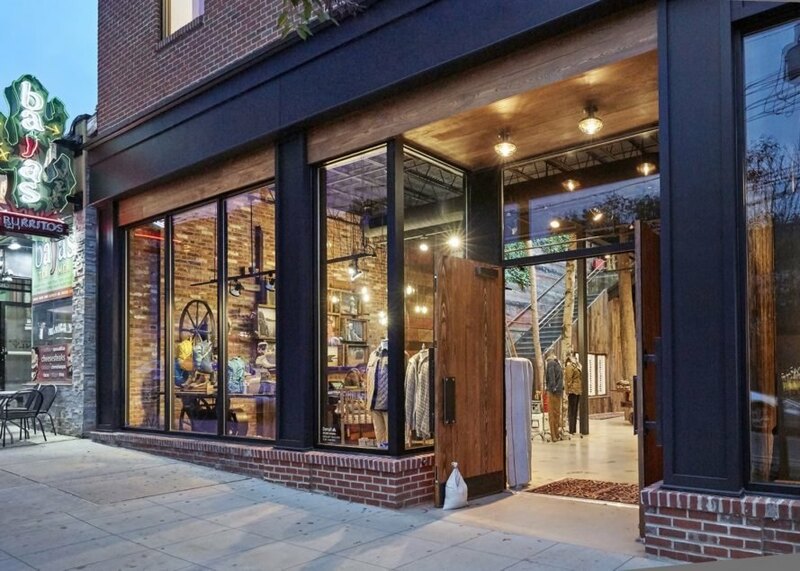 The newly opened Providence, Rhode Island store was created as the eighth brick-and-mortar location for the outdoor clothing and gear retail chain Denali. 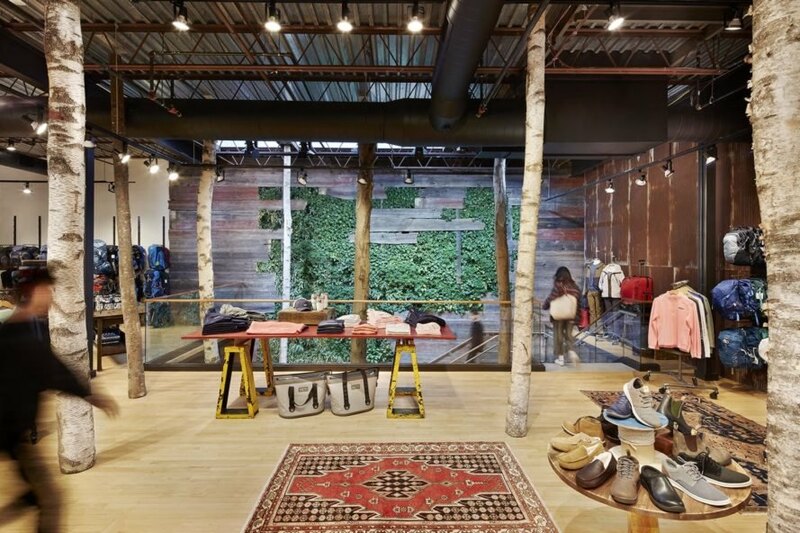 The store sits next to Brown University on Thayer Street and brings together a massive, low-maintenance vertical green wall with a predominately timber material palette to pull the outdoors in. Most of the materials were reclaimed in keeping with the company’s commitment to environmental stewardship. Sheathed within a brick-and-steel envelope that complements the surrounding urban fabric, the new Denali Providence store greets passersby with full-height glazing on the ground floor. 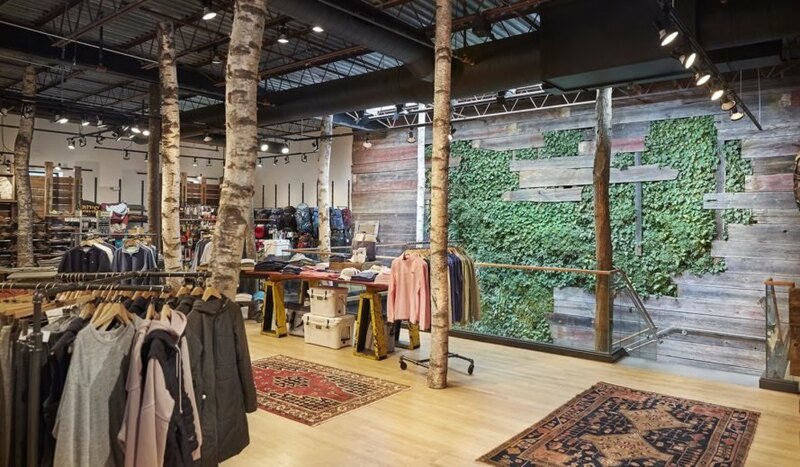 Though the shop might seem like the average brick-and-mortar building from the outside, shoppers are treated to a visual surprise in the woodland-inspired interior with a double-height space filled with 20 birch tree poles — with the bark intact — as well as a large vertical green wall filled with New England plants and overhead skylights that provide natural light. The design aims “to transport customers to a new state of mind with a biophilic interior ‘kit-of-parts’ [that Pirie Associates has] now used in several locations,” the firm said in a press release. To lure people upstairs, two 32-foot-tall birch tree poles were strategically positioned through the U-shaped stairwell and stretch upward from the ground floor to the ceiling of the second level. Apart from the paint, electrical equipment and HVAC, most of the materials used to construct the store were reclaimed or recycled and were often locally sourced. Salvaged materials include the barn doors, corrugated sheet metal and the nearly two dozen birch tree poles. 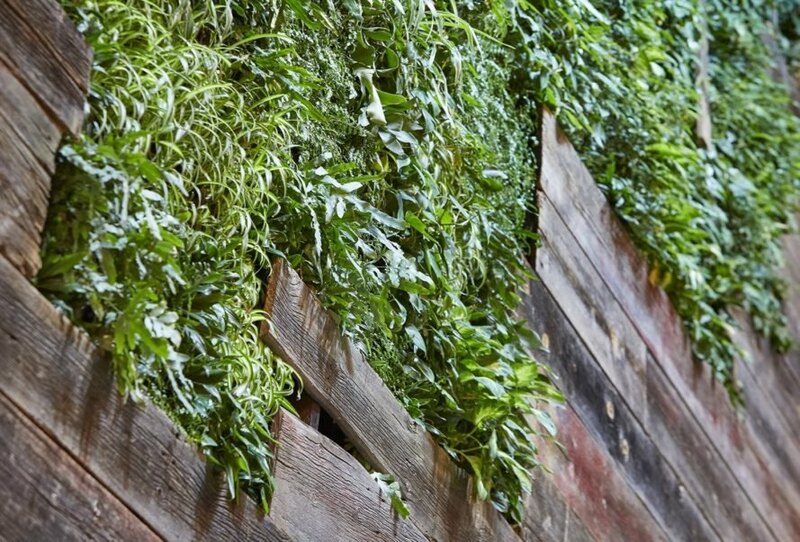 The vertical green wall that spans two stories was designed for low maintenance and is integrated with a self-irrigation system. 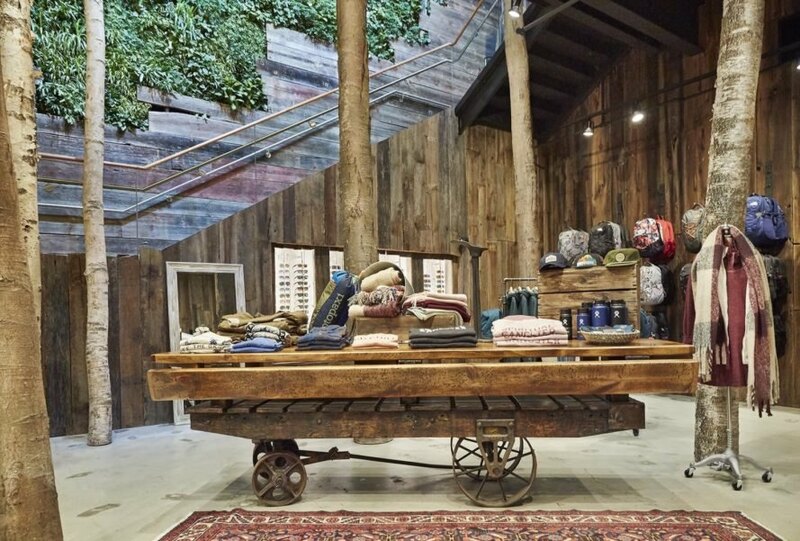 Pirie Associates have reimagined the brick-and-mortar retail experience. This shop for Denali embraces biophilic design. Reclaimed and recycled materials pay homage to the retailer's devotion to the environment. The store features a massive green wall that reaches across both floors. Birch tree poles further connect the store to nature. Nearly all of the store is crafted from repurposed materials. The low-maintenance green wall features a self-irrigation system.